This is one just for the ladies. In November, The Fabulous Ladies’ Wine Society is hosting a night of wine tasting, good company and plenty of frivolity, the Noosa Fabulous Ladies Wine Soiree. 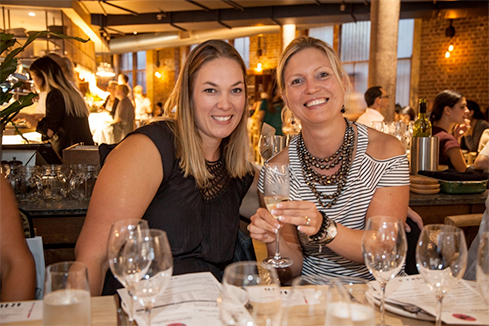 The Fabulous Ladies’ Wine Society is an online group dedicated to wine and food appreciation, as well as showcasing the talented women working in the wine industry through tastings, social gatherings, online forums and exclusive deals for its members on great wines and inspired recipes. The Soiree itself will be hosted at the Thomas Corner Eatery in Noosa on the 13th and will showcase Leanne De Bortoli. Manager of the De Bortoli family winery and restaurant in the Yarra Valley, she will be bringing along a selection of her amazing, critically acclaimed wines for guests to sample. You’ll be treated to a five-course feast of the senses, prepared by the talented and renowned chefs of one of Noosa’s premier venues, matched expertly to the De Bortoli Wine selection. Established in 1928, The De Bortoli wine company is a family company with a proud tradition of fine wine and great food, with flavours and flourishes steeped in their Italian heritage. They own and operate a number of vineyards across the great wine regions of Australia, but most notable is their Yarra Valley Vineyard sitting on just over two hundred and fourty acres of vine, where they produce their famous and award winning Yarra Valley Reserve Release, as well as their fabulous Estate Grown and Gulf Station wines. David Raynor is a chef of high regard, having headed up Sydney’s The Brooklyn, The Edge and Vault restaurants. He made foodie headlines recently jetting off to Hollywood to cook for A-List Aussies like Naomi Watts’ parties. The Thomas Corner Eatery is building up to be yet another of David’s great successes, getting rave reviews from critics and the general public alike, not just for his food and fabulous presentation, but also for the amazing service his staff provides. With food and wine like this, it’s shaping up to be an unforgettable night. The event is open to non-members as well, although members get a sizeable discount on ticket price, and becoming a member of the Society is free, so why not? For members it’s $89, and for non-members $105, a great price considering not only the wines and food on offer but also the stunning views from the awesome venue. Their events are infamous for filling up quickly, so if you’re a foodie, a wine lover, or both, get in quick. RSVP closes on the 10th. For more information on the event and the Fabulous Ladies’ Wine Society check out their site here. If you’re curious about the Thomas Corner Eatery read more here.